Potatoes seeds move into their new home. Putting in some purples, reds and fingerlings. Hey everyone. If you have not gotten a tour yet, now is the time to do it. I cannot put it into language this morning. I will just say that I never knew there could be so much life in one place. It is a real blessing to get to wake up to this ever day. I am not sure what I did to deserve this. But I will take it. We are all happy to share it with you any way we can. Just let us know. We are looking at Saturday May 13 or 20th to have our spring volunteer and member work party here at the ranch. We will narrow it down next week. And give you all the details. It is going to be great. These quarterly events are one of my favorite things to be a part of. 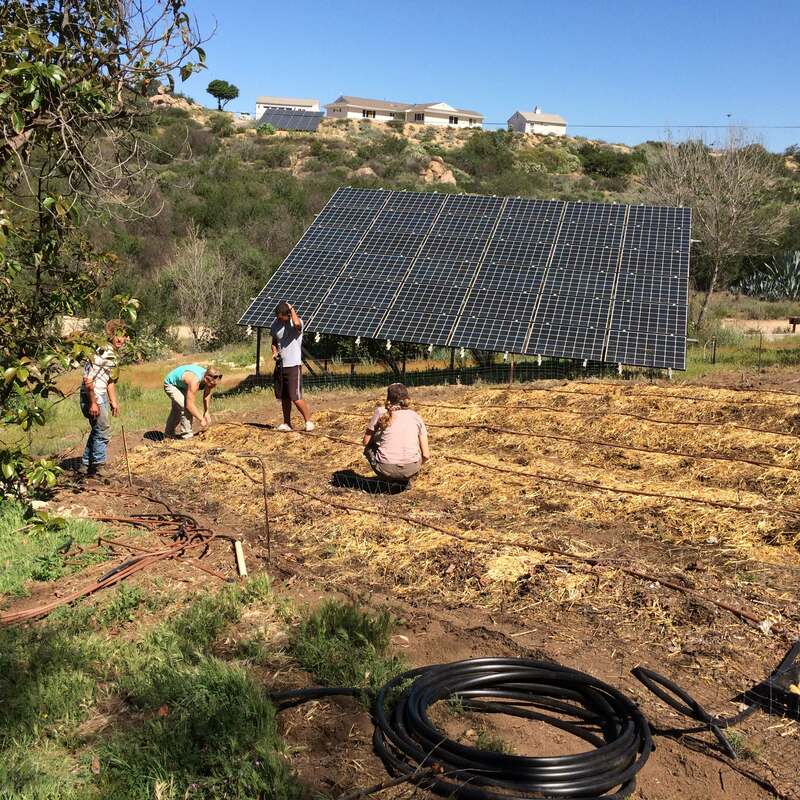 If you want to really experience the life and fertility of the ranch, the spring work party is the thing to do. Yah spring! So I am strolling through the produce section (yes farmers shop too). And I just about fell over. 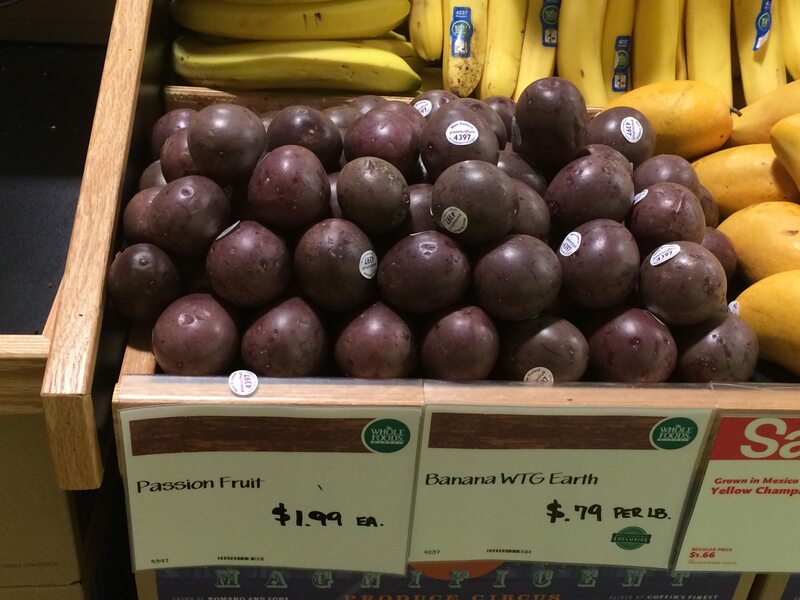 2 bucks for a passion fruit?! And they were tiny. Smaller than a kiwi. That is nothing though. Compared to the bunch of basil for 6.99. Seriously. I got an idea. 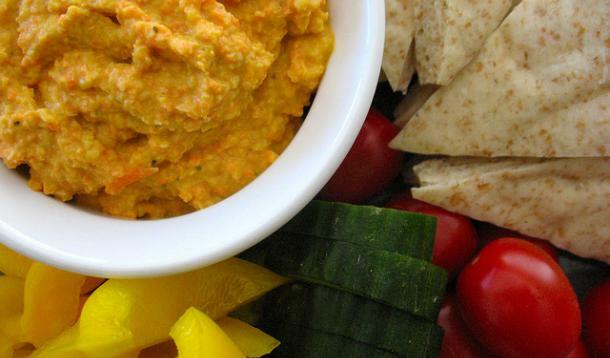 make some carrot hummus. dip your snap peas in it! Is that even legal?